Boston Red Sox right fielder Dwight Evans is one of my heroes. Of course, everyone on the 1975 Red Sox is one of my heroes, so that’s not saying much. But I was always impressed with how Dewey, regarded by all Sox fans as the greatest defensive right fielder of the time, turned himself into a great hitter too. In 1983, at the age of 31, despite winning a gold glove, he had a terrible year at the plate, with a batting average was .238, OBP of .338, slugging .436, with 22 homers and 58 RBIs. (See here for stats.) I thought he would only get worse. Instead, he got better. Four years later, an all-star year, his numbers were .305/.417/.569, with 34 homers, 123 RBIs, and a league-leading 106 walks. I hope you understand that I would never sacrifice my reputation by arguing that a player belongs in the Hall of Fame if I did not sincerely believe this to be true. Yes, Dwight Evans works for the Red Sox, and I work for the Red Sox, and I’m not saying this is not relevant to why I am writing, but … I wouldn’t argue that Dwight Evans had a Hall of Fame quality career if the kinds of analysis that I do all the time did not show this to be true. It’s not really that I wouldn’t; I couldn’t. I’ve spent years explaining to the public every step I take in evaluating a player. If I didn’t follow those steps, the people who have read my stuff over the years would know immediately that I wasn’t playing by the rules, and they would tear me a newbie over it right away. Let us start with the proposition that Dwight Evans is one of the most underrated players in baseball history. There are certain things that make players underrated. The most important of these is that a player who does several things well will always be underrated compared to a specialist, just because of the way the human mind works. We absorb simple concepts more readily than complex ones. If a player hits .325, if he hits 40 homers, if he steals 70 bases, we get that immediately. If a player does many things well but no one thing spectacularly well, he may have equal value but it takes longer for the public to catch on. Dwight Evans was a player who did many things very well — hitting almost 400 home runs, drawing a lot of walks, winning a long string of Gold Gloves, and even registering pretty decent batting averages, .290 or better five times in eight years. His batting average, however, was not his specialty, particularly early in his career, and given that batting average was at that time regarded as the center of the baseball universe, so to speak, this also caused him to be underrated. On-base percentage is much more closely tied to scoring runs (and to winning games) than is batting average, and in the 21st century all baseball people know this. But in the 1970s very few people knew it, so Dwight Evans was evaluated by the baseball writers of his time more based on his batting averages, which were OK, than on his on-base percentages, which were outstanding. Then there is the problem of first impressions, that when the place of a player is settled in the public’s mind, it is difficult for him to change how he is seen. The public image of Dwight Evans — as for every player — was formed by his first few years in the major leagues, and in those years he was not a great player; he was a good player, but not yet a great one. 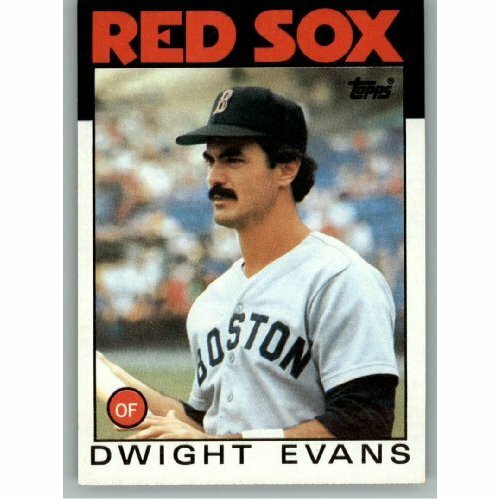 Dwight Evans is the very unusual player who had all of his best years in his thirties. About 40 percent of baseball players have all of their best years in their twenties; about 55 percent have some of their best years in their twenties and some in their thirties. Less than 5 percent have all of their best years in their thirties. Dwight Evans is that unusual case: someone who had all of his best years in his thirties, after the public image of him as a .270 hitter with 20-homer type power was set in stone. James closes with the claim that “Dwight Evans is a Hall of Famer.” Amen.